I’ve been fortunate to become friends with Kate at the StalyMag. She asked me to write about the above photo for a new feature in the StalyMag called Past Staly. The photo is predictably of Cocker Hill. I thought it was unusual as it features the Weavers’ Cottages, rather than the Church, which seems to be a feature of most old photos of the area. It may be that the Church had been demolished before the photo was taken. It was interesting to write for the magazine; what do you write when asked to write a few words about a photo? My initial thoughts were to write about the difference between the archive photo and the current one, but the reality is there aren’t too many differences. The there are more cars now, the windows have changed but thankfully the Cottages still look similar. The article I wrote is below… What do you think? This is the first in a new series of archive photos of Stalybridge that we plan to feature over the next couple of months. 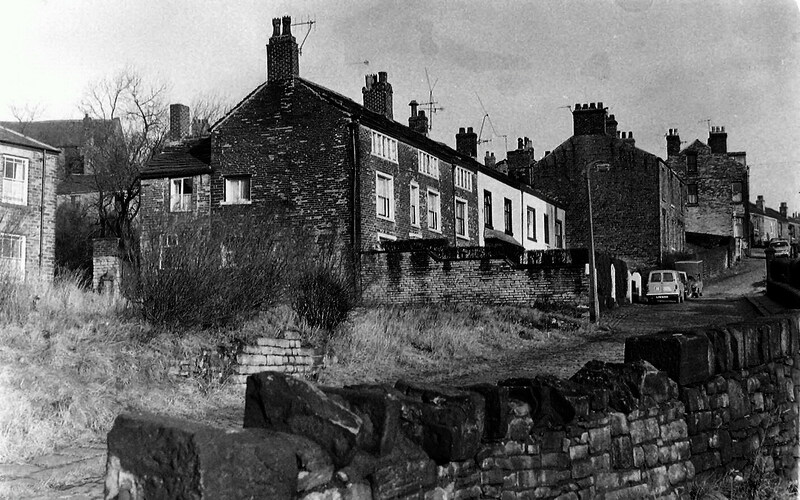 The photo is of Cocker Hill, Stalybridge; I’d guess that the picture was taken in the early 1960s. The Cottages in the centre of the picture are now over 250 years old; we can’t date them exactly but they were first sold in 1750. They were looking over Stalybridge when Stalybridge when Stalybridge contained just 34 houses* and are still there now. 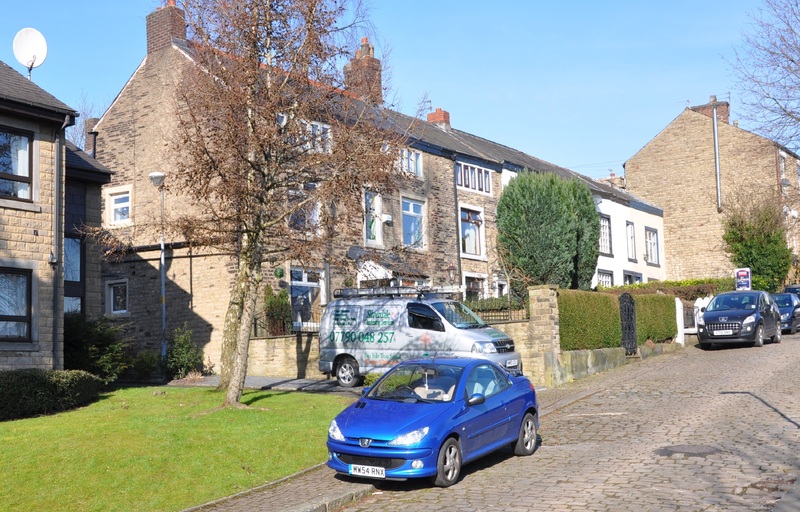 They are known as Weavers Cottages as their owners were wool weavers who worked in their home. The cottages were originally just one room deep with the family generally living and sleeping on the ground floor. Wool was carded and spun on the first floor by the women and children and was woven into cloth by the man of the house using a hand loom on the third floor. There would not have been a bathroom or running water inside the house. The small windows on the top floor of the photo are called mullion windows. The cottages would probably originally have had mullion windows on all levels to allow plenty of light into the cottages to work by. The house on the far left of the photo was demolished as part of the “post war slum clearance”. The house, and others like it, were replaced by Blandford Court age exclusive accommodation and many of the occupants were rehoused on the Hague Estate by New St Georges Church. I’ve included a few links below, click through if you want to see more about the occupants of the Cottages or about the domestic production of woollen cloth. And both the Portland Basin and Saddleworth Museums are also worth a visit if you are in the area. The photograph of the scholars walk at the bottom of Cockerhill, you can see a public house that was the Star Inn . To-day as you just start to walkup onthe left handside you have a set of steps,they are not the original ones, I think these were changed about 1954 .Wehad to go up these steps when we came out of Stalybridge to get to our house on Hall St.When we were kids they were always known as the Starrin steps. Thanks for your comments. I love knowing the old names for places and often bore or confuse Katy with them. I still call the steps down by the side of the Stamford Pub the “Fire Station Steps” despite the fire station having moved many years ago. My favourite set of staps with a great old name are those from Dukinfield Cenetary to Park Road which my Grandad called the “Pantomine Steps” I loved running down them when I was a child. I will add the Starrin Steps to my list. Does anyone know the history of the giant stone chimney near Tesco Stalybridge? When it was built and what it was used for?